The West Virginia company Viking Glass produced a variety of colorful glassware products that have become highly collectible. Since its manufacturing history ended in the late 20th century, Viking glass has gained in popularity among collectors because it can still be found at bargain prices. Learning to identify the pieces and patterns of Viking glass is a matter of doing some publication-based and online research. You may also need to consult others who are familiar with Viking’s distinctive designs. Look through collectors’ guidebooks. Visit a library or bookstore in order to find general guides on American glassware as well as guidebooks on Viking glass. Looking at these will help you to learn to identify particular patterns. Some examples of these collectors’ guides include “Viking Glass 1944-1970” by Dean Six, “Beauty Is Glass From Viking: A Story with Pictures About the Creation of America's Hand Made Glass” by Viking Glass and “Popular '50s & '60s Glass: Color Along the River” by Leslie A. Piña. Find online resources. Look at an Internet site that offers multiple pictures of various Viking patterns and match your piece to what you see. The website Viking Art Glass (see Resources) features pictures of patterns from “Arlington” to “Yesteryear.” Check online outlets, such as eBay, that have a large and constantly changing inventory of Viking glass in order to study pattern names, descriptions and pictures. Use an identification service. Hunt for resources that offer to find the pattern name for you. The china and glass replacement company Replacements, Ltd. offers free pattern identification help. Send them a photo of your Viking glass pieces and they will name each glass pattern. You can supply the company with a picture via regular mail, e-mail or fax. 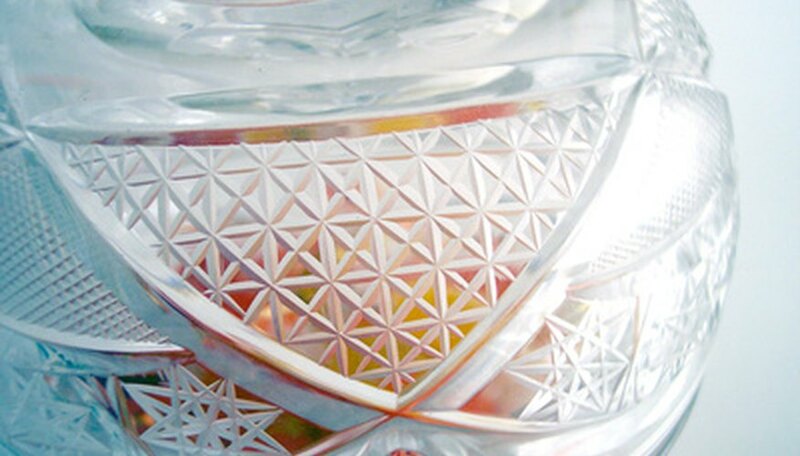 If you cannot provide a photo of the glass, you can send a hand-drawn sketch to the company. Hunt for old Viking glass catalogs. Vintage Viking glass catalogs offer a wealth of information, including pattern names, pictures of various pieces and original prices. The website Viking Glass Company (see Resources) features an online company catalog from 1978-79. Examine these pictures to find your own pattern. Once you have familiarized yourself with the various Viking patterns, be on the lookout for collectible pieces that are unlabeled. Much of the Viking glassware had paper labels that were pulled off over time. Often a knowledgeable collector can find an unlabeled bargain.